STEPZO provide teachers a platform where they can give feedback for individual student,solve student queries,take attendance,make test series etc so that student can perform better and school can get better results overall. The only thing we do is to provide a platform and an organized system so that student parent and teacher can convey there messages on time and aware of what is going new, so our focus is 100% on doing that exceptionally well. Our apps get consistently high ratings from students, parents, teachers and administrators for having powerful features that are time-saving and easy to use.Our communication platform for your school or institute helps in making reputation and brand of any school or institute. School and Teachers are now connected directly with parents and now they can focus more on their child. Online learning is an accessible, practical education option. Students of all ages are learning through distance courses instead of in a physical classroom. How Can We Keep Teachers in the Classroom? From low pay to lack of support, there are many reasons why schools struggle to keep teachers in the classroom. It’s clear that keeping retention rates from sinking again requires smart strategies on the part of schools and districts. Most students are familiar with and active users of mobile technology. While it does facilitate sharing and knowledge exchange, it can be a dangerous tool if improperly used. By this I mean students using their smartphones (or dumbphones, for that matter) to share things they would never normally share. From inappropriate comments to sexting, it’s a dangerous minefield. If you have any questions about anything related to app, please feel free to contact us at info@stepzo.com. 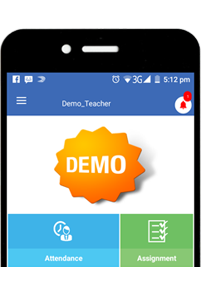 STEPZO: School mobile app for student teacher and parent communication which also provide ERP for Education Systems like Colleges, Coaching and schools and have published Iphone and Android apps to serve acrosss the world. © 2017 Stepzo All rights reserved.